If alcohol is not your thing you can just purchase and eat the bars like the candy they are. If decadent chocolate cocktails sounds like fun they watch out for the links to the recipes below. *Disclosure: We received some chocolate bars in exchange for this post. Live In or Near Toronto? Also if you happen to live in or near Toronto you will want to note that the cocktails will be featured at Toronto’s Café Cancan and Piano Piano Restaurant from December 5-21, 2017. Green & Black has partnered with Canadian chef and restaurateur Victor Barry of the places mentioned above to create one-of-a-kind chocolate inspired cocktail recipes. Festive and picante! Ginger dark chocolate and Aneheim chilis combine to create a fiery infused tequila cocktail to tantalize your taste buds. Serve icy and cool, and these aromatic flavours will surely warm your senses. Ditch the kilt for this Scottish experience! This smooth and smoky infusion combines luscious 80% premium dark chocolate with unpeated, single malt scotch for bold and decadent delight. According to Chef Barry, you haven’t lived until you’ve tried caramelized white chocolate, and it’s surprisingly easy to make. Topped with a decadent and caramelized white chocolate whip, this creamy and classic sweet treat combines rich espresso with a splash of vodka. Serve on the rocks for the perfect after dinner festive cup of joy. These chocolate bars come in a variety of flavours. They are great for those who like more than just the basic milk chocolate flavour. We tried a few of the flavours. I shared the Ginger Dark Chocolate and the results were half/half. Half liked it and half didn’t. Those that didn’t knew they didn’t like Ginger though so if you like Ginger and dark chocolate, you’ll love it. I really liked the Burnt Toffee Dark Chocolate and the Almond Milk Chocolate the best. Each one was sealed in foil and then wrapped in a paper wrapper so it was very fresh. 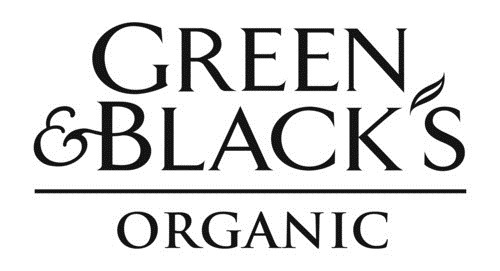 Green & Black’s Organic products are available at natural health and organic food shops, independent specialty food stores and select major retailers such as Whole Foods, Sobey’s, Bulk Barn and Loblaws. 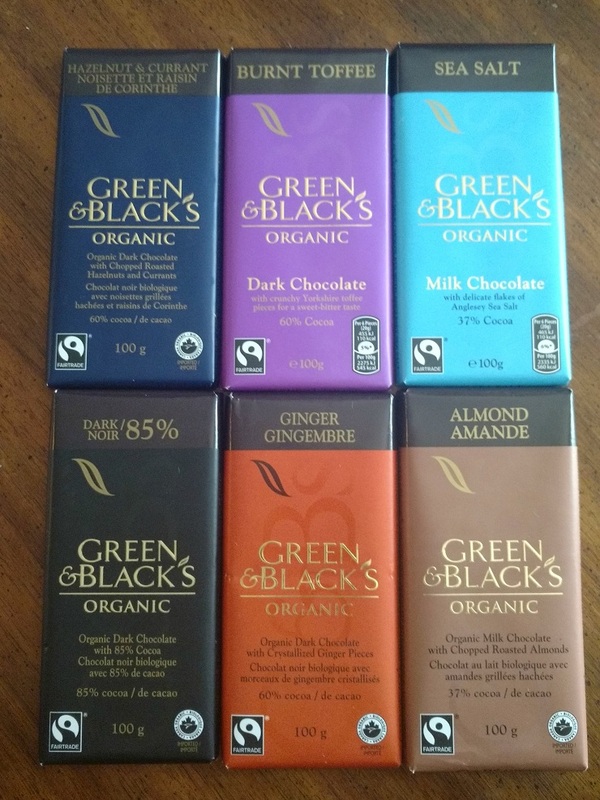 Look for Green & Black’s products in the natural food or specialty chocolate section.